TK Retail Design Consultants operate in several retail and office settings. Core areas benefiting from our consultancy service include restaurants, cafes, bistros, wine bars, coffee houses, cocktail bars, delicatessens, bakeries, sandwich bars, independent boutique hotels, and bespoke office environments. For examples of our consultancy services please visit Design Consultants Projects. Please see also specific Projects pages for Sports Retail, Coffee Shops and Food Retail. If you have a retail premises or office deign issue that you would like to discuss with us on a no obligation basis please call or e-mail TK Retail Design Consultants. TK Retail Design Consultants advises retail clients and landlords on the practicalities of design in a retail setting. Our role as design consultants is to take an initial interior retail design and convert it to a practical, value engineered design, which will optimise the space and efficiency of the unit. We will refine a retail interior design and make it practical and workable within the budget constraint. TK Retail Design Consultants operate in numerous retail and office settings. Core areas benefiting from our consultancy include restaurants, cafes, bistros, wine bars, coffee houses, cocktail bars, delicatessens, bakeries, sandwich bars, independent boutique hotels, and bespoke office environments. For examples of our consultancy services please visit Design Consultancy Projects. TK Retail Design Consultants will also develop your interior retail design to ensure compliance with a myriad of legislation – building control, disabled access, and the European Construction & Design Management regulations. The recently introduced European Construction & Design Management regs imposed a more onerous responsibility on the owner and end user of the retail unit and it is vital that all relevant considerations are dealt with. We can offer advice on Building Regs and Planning Control and liaise with appropriate authorities. It is the retailer’s legal obligation to comply with the Construction Design Management regs (CDM). A significant failure to comply can result in a heavy fine and possible imprisonment for the building occupier. 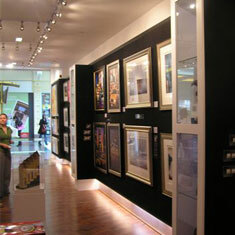 Please visit Retail Design Services page for details of how TK Retail Design Consultants can help. In addition to retail premises, we re-design, renovate and refurbish offices, from small units to large office buildings. If you have a retail building or office deign issue that you would like to discuss with us on a no obligation basis please call or e-mail TK Retail Design Consultancy. For advice on Hair Salon design and Wedding Salon design please see Projects page 1 and Projects page 2. Practical Retail Unit Design Consultants For Retailers & Landlords, CDM Regs Compliance. Building Regs, Planning, Refurbishment & Extension Project Management. Retail Design Consultants for Coffee Shops, Sandwich Bars, Tea Houses, Cafes, Restaurants, Shops, Retail Developments. Also Office Design, Wedding Gown Salon & Hair Salon Design..